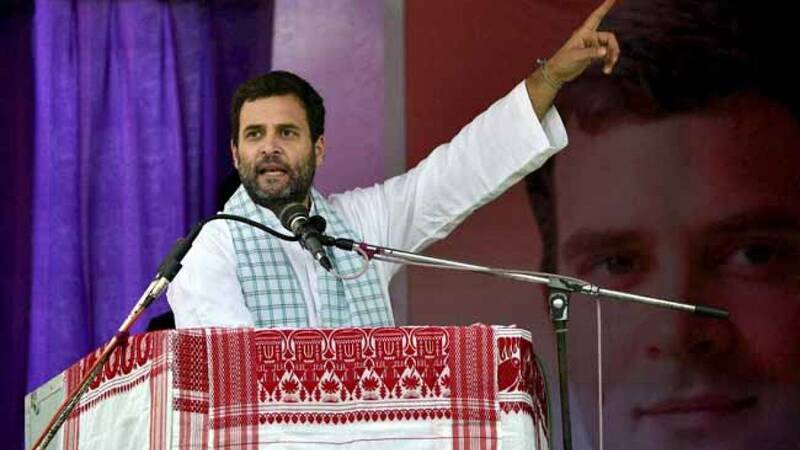 New Delhi : In a bid to revive Congress in Uttar Pradesh ahead of Assembly polls, Congress Vice President Rahul Gandhi will embark on the 2500 km-long Kisan Yatra from Deoria on Tuesday. The 'Deoria to Dilli yatra', will start from Panchlari Kritpura village, with a door-to-door campaign of charters of farmers demands and one-to-one interaction with farmers. #Kisan yatra from Deoria to Delhi will start on September 6. # Ganghi's campaign is in a view to secure the rights of the poor, farmers and labourers in government resources. #During the 'kisan yatra', Rahul Gandhi will collecting 'Kisan Mangpatras' (charters of farmers demands) and hold 'Khaat Sabhas'. #Rahul Gandhi will also hold road shows at various places during the yatra.